Modern touch screen smart phones are great and enables you to do almost anything, but there is one feature that older mobile phones are still better at: battery life. I imagine most smart phone users recharge their devices every other day or so, which is fine as long you have easy access to electricity. However, some times you don’t have access to electricity. For example this time of the year thousands of Finns head off to their summer cottages, which might be located deep in some forest of on an island with no access to electricity. If you are one of them, you might be happy to learn that at least on Android you can shut off most of the smart phone features temporarily and thus make you battery last for at least a week. First open an empty desktop. Then touch and hold on the screen, and a pop-up will appear, where you can select to add a widget. 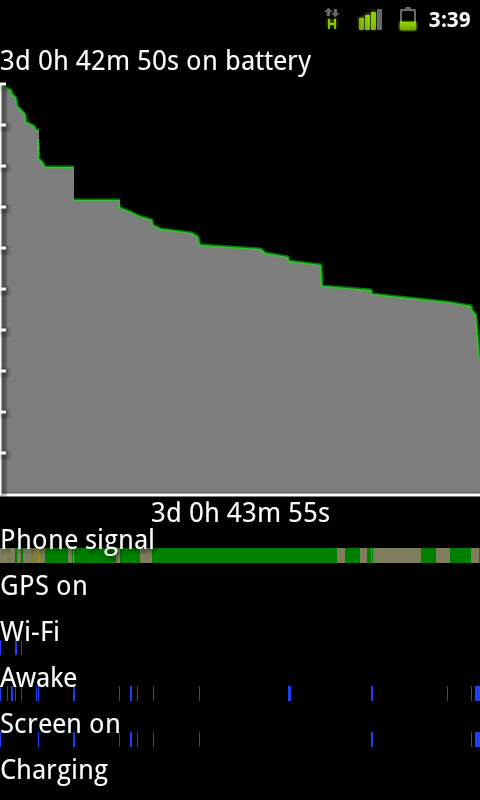 Three days past and there is still over 50% of battery left. 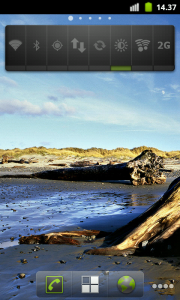 Choose the power management widget and select it to include: Wifi, Bluetooth, GPS, Data connection, Synchronization, Brightness and 2G/3G network mode. Then when the widget is added on the desktop, you can touch the buttons to disable everything, use only minimal brightness and only 2G networks. The effect is that you battery usage will radically drop but you can still recieve and make calls using the power saving 2G mobile network. Just like what you did with old mobile phones. 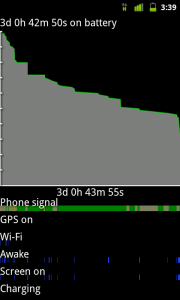 The screen shot to the right shows there is still over 50 % of charge left after three days of usage. If the phone would not have been used to make calls and other stuff (as seen in the graph as steep falls in the curve) a single charge would easily last over a week.